Fine particulate matter (PM2.5) is considered to be one of the most important environmental factors contributing to the global human disease burden. However, due to the lack of broad consensus and harmonization in the life cycle assessment (LCA) community, there is no clear guidance on how to consistently include health effects from PM2.5 exposure in LCA practice. As a consequence, different models are currently used to assess life cycle impacts for PM2.5, sometimes leading to inconsistent results. 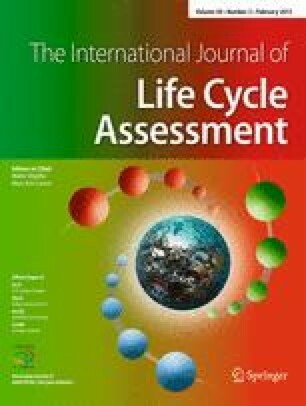 In a global effort initiated by the United Nations Environment Programme (UNEP)/Society for Environmental Toxicology and Chemistry (SETAC) Life Cycle Initiative, respiratory inorganics’ impacts expressed as health effects from PM2.5 exposure were selected as one of the initial impact categories to undergo review with the goal of providing global guidance for implementation in life cycle impact assessment (LCIA). The goal of this paper is to summarize the current knowledge and practice for assessing health effects from PM2.5 exposure and to provide recommendations for their consistent integration into LCIA. A task force on human health impacts was convened to build the framework for consistently quantifying health effects from PM2.5 exposure and for recommending PM2.5 characterization factors. In an initial Guidance Workshop, existing literature was reviewed and input from a broad range of internationally recognized experts was obtained and discussed. Workshop objectives were to identify the main scientific questions and challenges for quantifying health effects from PM2.5 exposure and to provide initial guidance to the impact quantification process. A set of 10 recommendations was developed addressing (a) the general framework for assessing PM2.5-related health effects, (b) approaches and data to estimate human exposure to PM2.5 using intake fractions, and (c) approaches and data to characterize exposure-response functions (ERFs) for PM2.5 and to quantify severity of the diseases attributed to PM2.5 exposure. Despite these advances, a number of complex issues, such as those related to nonlinearity of the ERF and the possible need to provide different ERFs for use in different geographical regions, require further analysis. Questions of how to refine and improve the overall framework were analyzed. Data and models were proposed for harmonizing various elements of the health impact pathways for PM2.5. Within the next two years, our goal is to build a global guidance framework and to determine characterization factors that are more reliable for incorporating the health effects from exposure to PM2.5 into LCIA. Ideally, this will allow quantification of the impacts of both indoor and outdoor exposures to PM2.5.